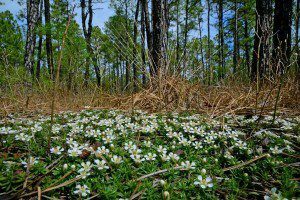 The Blackwater Ecological Preserve is the 319-acre heart of the Zuni Pine Barrens Natural Area Preserve, now covering more than 1,000 contiguous acres. The preserve is a northern-most remnant of a once-vast ecosystem that covered about 93 million acres, of which only a fraction remains. The preserve contains plants not found elsewhere in the state. Among the rare plants expected to be seen are October flower, wooly chaff head, sandy woods chaff head, smooth false foxglove and numerous sedges and grasses. In addition, we will see the few remnants remaining in the Commonwealth of the naval industry, commerce historically dependent upon longleaf pine. Special instructions: Be prepared for walking on sandy roads. Location: Zuni Hunt Club, 24016 Thomas Wood Trail, Zuni, VA. Contact phone: 757-812-8383. Allow 1.5 hours drive time. Carpooling strongly encouraged. Leader: Nicholas P. Flanders is a doctoral candidate at Old Dominion University researching the role of birds in the biology of the Eastern mistletoe (Phoradendron leucarpum). In 2017 he was honored by the Botanical Society of America for best graduate student presentation in ecology for his work on mistletoe. Nick has worked extensively at the Blackwater Preserve and is co-author on a paper in press on spatial and morphological relationships of longleaf pine (Pinus palustris) at the Preserve. He holds a bachelor’s degree from ODU and a master’s degree in fisheries, wildlife, and conservation biology from North Carolina State University. A walk in Freedom Park to see, compare and identify ferns in clusters and drifts, and the tiny plants that cover logs and stream edges. 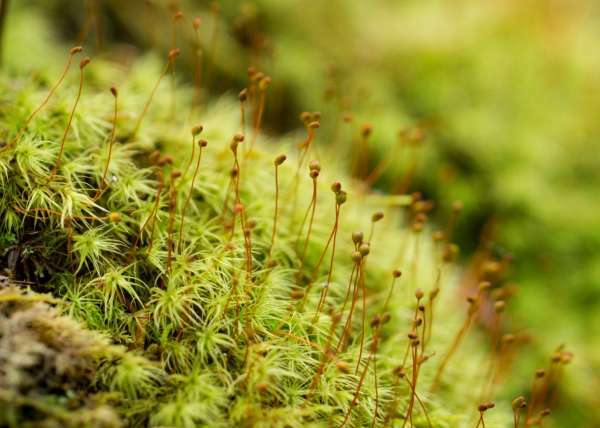 Many can be distinguished without much magnification, but a hand lens or magnifier will reveal the complex structures of the shoots and leaves of moss and liverworts. The walk starts behind the Go Ape facility, descends into a ravine with a small stream, and ends with a slight uphill to the parking area. Special instructions: Prepare for possible muddy walking; a hand lens or magnifier is useful, and a camera with macro lens. Leader: Helen Hamilton, past president of the John Clayton Chapter of the Virginia Native Plant Society, has taught biology in local high schools, worked as a plant technician for the National Park Service and has authored two field guides to native plants, Wildflowers & Grasses of Virginia’s Coastal Plains and Ferns & Mosses of Virginia’s Coastal Plain. She has led hundreds of plant walks and has given talks about native plants to local organizations. In some ways, downtown Williamsburg is like a 300-acre botanical garden. Both Colonial Williamsburg and the College of William & Mary have extensive collections of plants adorning their grounds. This tour will focus on the native trees and shrubs that line Williamsburg’s historic streets, as well covering a bit of history on how they came to be. Highlights include the unique Catalpa Tree along the Palace Green and the stately Compton Oak in Williamsburg’s Market Square. Special instructions: The walk will be mostly level ground, but include some shallow ravines. Be aware that your shoes may get dirty. The total length of the walk will be about a 1.5 miles. Location: We will meet on Duke of Gloucester Street in front of the Barnes and Noble at the corner Duke of Gloucester Street and North Henry Street. Parking is available at the Prince George Parking Garage at 230 N. Henry. From the School of Education, take Monticello Avenue going east. Monticello will turn into Lafayette Street where it crosses Richmond Road. Continue on Lafayette Street for about a mile or so and turn right on N. Henry Street. The parking garage will be 1 1/2 blocks down on the right. 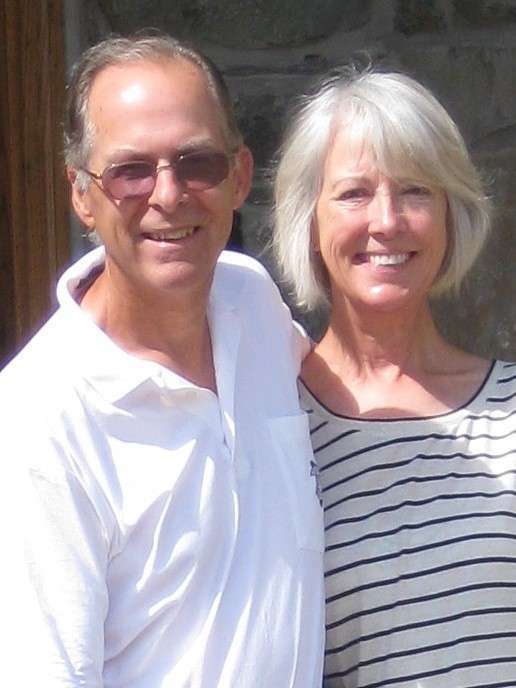 Leader: Phillip Merritt is a landscape architect and long-time member and past-president of the John Clayton Chapter of the Virginia Native Plant Society. He has spent many hours wandering the Lower Peninsula searching for and photographing native plants. 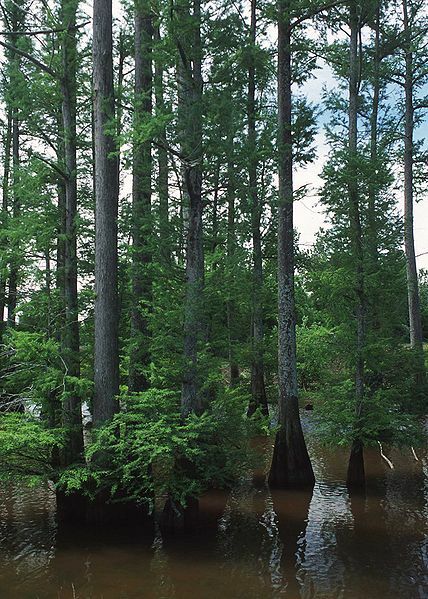 The coastal wetlands of Virginia comprise approximately 75 percent of Virginia’s wetlands. 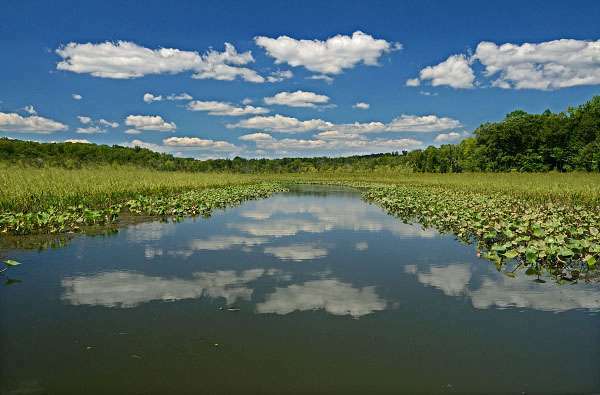 Ranging from tidal salt marshes to tidal hardwood swamps, diversity of coastal plain wetland types provides us with numerous ecological functions and social values. On this trip we will visit both tidal salt and freshwater marshes along Taskinas Creek in York River State Park and College Creek along the Colonial Parkway We will talk about the differences in the dominant vegetation, rare species (plants and animals), the role of “pulsing” hydrology, and overall ecology (water quality, habitat, nutrient cycling) of these systems. We will end by talk about the future of these ecosystems in relation to global climate change. Special instructions: Please wear closed shoes – no sandals! We will be walking in wet situations — wear old sneakers that will not be sucked off your feet if you walk in mud. Guinea boots work well, as do wet-suit booties. Be forewarned that white socks will probably end up brown and will stay that way – I suggest that you wear old socks! Leader: Dr. James Perry is Professor Emeritus of Marine Science at the Virginia Institute of Marine Science. His research included monitoring stress and long-term changes in plant communities of tidal and non-tidal wetlands, and the relationship of those changes to changes in environmental parameters within watersheds. He has done research around the world and has taught many invited classes and lectured abroad. His classes at William & Mary’s School of Marine Science (VIMS) included Asian Environmental Issues, Coastal Botany, Coastal Ecosystem Restoration, and Wetlands Ecology. Ever save a dragon? the Friends of Dragon Run have! The nonprofit was formed in 1985 by a group of concerned citizens on Virginia’s Middle Peninsula, who donated funds to purchase and preserve more than 200 acres of the remote Dragon wilderness and has only expanded in the years since. 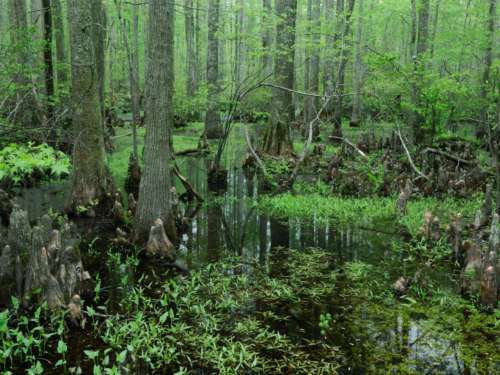 Dragon Run, one of the northern-most cypress swamps, has been described as a time capsule of a Chesapeake Bay tributary river from more than a century ago, one reminiscent of what Capt. John Smith would have seen 400 years ago. 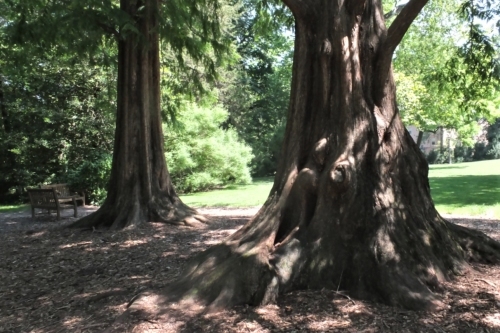 A number of the Dragon’s majestic bald cypress trees are more than 8 feet in diameter and up to 25 feet in circumference, featuring bald eagle nests at the tops and resurrection ferns living on the trunks. 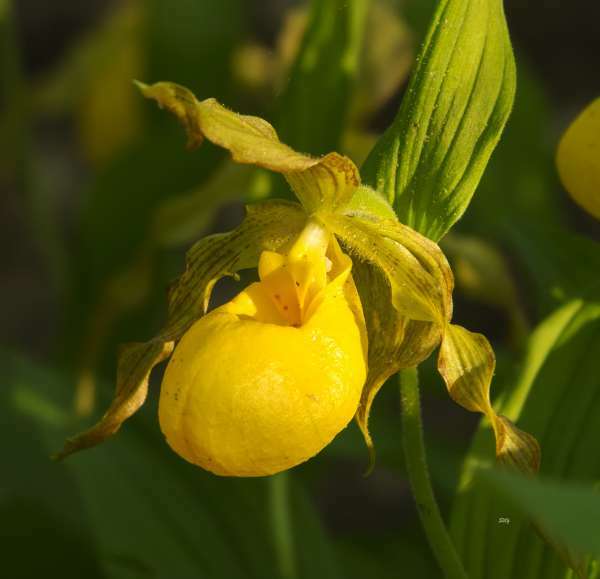 Wildlife is abundant, and over 50 varieties of fish and numerous aquatic native plants have been catalogued, including wild iris, cardinal flower, featherfoil, spatterdock, and pickerel weed. Learn more at Friends of Dragon Run. Special instructions: There will probably be wet spots, so bring waterproof shoes or boots. Recommend one item of clothing that is blaze-orange or yellow for visibility. Terrain is uneven, a walking stick might be helpful. Binoculars, cameras, field guides and notebooks are always helpful. A hand lens or magnifying glass helps to see fine details. Leader: Teta Kain has been learning about plants, butterflies, habitat management, and nature photography for more than 50 years. She has been president of the Omaha Audubon Society and held many roles with the Virginia Society of Ornithology, including editor of the journal, The Raven. She has extensively explored and served Dragon Run, including as paddlemaster of the annual river kayak trips, which has earned her the ultimate grand title: Empress of the Dragon. She has offered more than 600 programs to organizations in Virginia over the past 35 years and is recognized for her talented nature photography. Enjoy a canoe paddle around Virginia’s oldest remaining mill pond and learn the history of Lake Matoaka while you peep native plants, trees and wildlife along the margins of the lake. The trip leaves from the William & Mary Keck Environmental Field Laboratory. Special instructions: A waiver form will need to be signed. All participants will wear personal flotation devices (provided) at all times on the water. Wear clothes and shoes appropriate for the weather — you might get a little wet in the canoes. Location: The trip will carpool to the William & Mary Keck Environmental Field Laboratory (map). Leaders: Randy Chambers & Dakota Hunter. Randy Chambers is director of the Keck Environmental Lab at William & Mary. A Williamsburg resident since 2001, he holds a bachelor’s degree in biology from Gettysburg College, a master’s in zoology from the University of Massachusetts Amherst and a Ph.D. in environmental sciences from the University of Virginia. Randy teaches courses in biology and environmental science and policy. His research specializes in the study of wetland ecosystems. His current work focuses on nutrient dynamics, invasive species and turtle ecology of wetlands. Dakota Hunter is pursuing a master’s degree in biology at William & Mary. His research, guided by Doug DeBerry, focuses on the relationship between invasive wetland plants and environmental variables, such as soil chemistry and light availability. He has worked as an undergraduate research assistant with Caitlin Cyrus and Martha Case, including conducting field work in the College Woods, and enjoys the opportunity to explore and teach. This field trip will tour portions of the William & Mary campus, following the Campus Tour of Woody Species started by W&M botany faculty in the 20th century. We will tour the “Ancient” and “Old” portions of campus and point out those trees included in the J.T. Baldwin Memorial Collection. Much of this collection is botanically interesting, although not native. The tour continues through the Crim Dell Meadow and Wildlife Refuge, where many native woody species are found and protected from development by declaration of the Virginia General Assembly. If time permits, we will visit the Adams Garden in the center of “downtown” Williamsburg. Special instructions: This 1.5 to 2 hour tour should be relatively easy, with nearly all of the walking on paved or brick sidewalks. Wear comfortable walking shoes, sandles with a back-strap are probably fine. 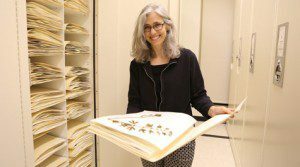 Leader: W&M Herbarium Curator Beth Chambers has worked in the biology department at William & Mary for the past 15 years. Previous positions include website support for various projects, working as an environmental scientist for engineering, as well as photovoltaic manufacturing firms. She worked as a biologist surveying aquatic vegetation at Mote Marine Biological Laboratory. Ms. Chambers is a Board member of Virginia Botanical Associates and the Williamsburg Botanical Garden, and a member of the John Clayton Chapter of VNPS. A level, easy walk through a lakeside woodland, with a portion of the trail on boardwalk over a beaver-dammed swamp. The trail at Newport News Park will take us through several habitats, home to a variety of hardwoods, moisture-loving shrubs, herbs and forbs. There are also some remnants of civil war earthworks. The round-trip walk will be 2 to 2.6 miles, depending on whether we walk the whole loop or double back to meet time constraints. Special instructions: The trail is level and easy, but may have some wet or muddy spots. Plan to spray feet, ankles and cuffs against ticks and chiggers. Leader: Susie Yager became a Virginia Certified Horticulturist in 2011, read Douglas Tallamy’s book Bringing Nature Home a few months later, became a Virginia Living Museum horticulture volunteer in 2012, then became a Virginia Master Naturalist in 2013, and joined the Virginia Native Plant Society that same year. She leads local plant walks and gives native plant gardening presentations to help today’s gardeners create habitats on their own properties to preserve our native wildlife. The Williamsburg area is home to more than 80 species of butterflies. In September, 30 or so species can be observed in varied habitats. The field trip leaders will point out butterflies and their preferences for plants and habitats. The walk will take place in gardens, along power lines, and other local habitats. 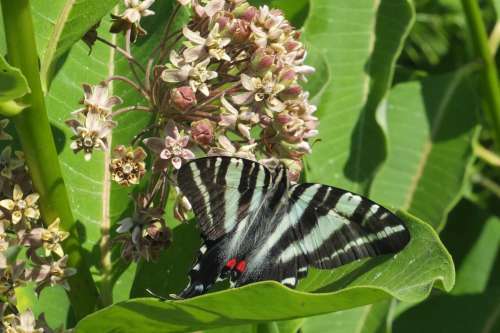 The leaders will describe the Annual Butterfly Count that took place in August and was submitted to the North American Butterfly Association, as well as the work of a small group of local enthusiasts who have documented sightings, determined local host plants and observed behavior. Special instructions: Bring binoculars if you have them (close-focusing are best), and a camera, though a lot of photography can hinder observation. Be prepared for insects with bug spray. Recommend long-sleeved shirts, long pants and hiking shoes. Leaders: Adrienne Frank and her husband Gary Driscole are members of the Historic Rivers Chapter of the Virginia Master Naturalists, Friends of Dragon Run, and the John Clayton Chapter. They have been learning and teaching about butterflies for the last 10 years, participating in butterfly counts, and collecting data on local butterflies. 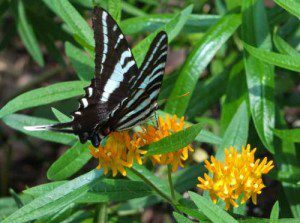 Adrienne coordinates the Annual Williamsburg Area Butterfly Count and is the editor of the Butterflies of the Greater Williamsburg Area: An Annotated List of Species. The College Woods is a natural preserve of approximately 960 acres owned by William & Mary. 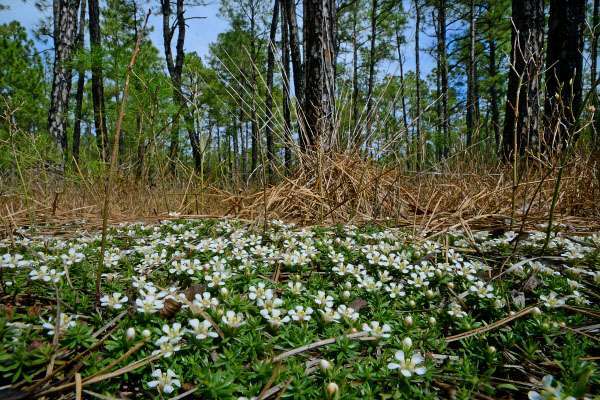 The Woods supports a relatively diverse flora in a mature coastal plain forest which has been under long-term biological study by members of the university for decades. This walk will encompass the results of Caitlin’s 2016 graduate thesis, which contributes to the ongoing investigation of the Woods by documenting floristic and vegetation changes over the last 45 years amid a rising and uncontrolled white-tailed deer population. Along the walk, we will identify many plant species, including several mountain-coastal plain disjuncts, and we will also observe a forest stand that is over 165 years old. The Sunday 9am College Woods walk will offer a convenient opportunity to leave at 10:30am, in time to attend the 11am Invasive Plant workshop at the W&M School of Education. Special instructions: This walk will be approximately three miles round-trip. We will be walking along trails, however, they can be uneven in some portions of the woods. Ticks are omnipresent. Wear sturdy hiking boots! Location: We will meet in the westernmost parking lot at the School of Education and take the boardwalk through the woods to the Main Entrance of the College Woods to begin our tour. Leader: Caitie Cyrus is an environmental scientist with VHB, based in Williamsburg. Her specialty is in rare, threatened, and endangered plant species surveys. She graduated in 2012 with a bachelor’s degree in Biology from St. Mary’s College of Maryland, and in 2016 with a master’s in Biology from William & Mary. Her thesis, “Floristic Change Spanning 25 years of Global Change in the College Woods,” involved thousands of hours surveying in the College Woods. Learn how to identify specific invasive plants and methods for treating them, with some of the most experienced people in the field, the Blue Ridge Partnership for Regional Invasive Species Management, or PRISM. In this workshop, founders Rod and Maggie Walker will present a brief introduction to PRISM and its programs, along with a sample of the training they provide that includes both plant identification and control methods. PRISM is a volunteer-driven organization dedicated to reducing the negative impact of non-native invasive plants on the health of the natural and agricultural environment in the Blue Ridge Mountains of Virginia. These aggressive plants know no boundaries – flowing water, birds, hikers, vehicles, and animals scatter and spread their seeds like a contagious disease. Through cooperative action, PRISM aims to enable people to reclaim the Blue Ridge region’s natural heritage and to become stewards of the lands that are our birthright. The Blue Ridge PRISM is a project of the nonprofit Shenandoah National Park Trust. Location: Holly Room, School of Education. Leaders: Rod was first alerted to the problem of invasive plants in the Blue Ridge by the Oriental bittersweet vines that had grown up seemingly overnight and were strangling 15 acres of his family’s timber forest. Concerned about the economic damage posed by this invasive vine and others, Rod contacted Shenandoah National Park for advice. The conversations blossomed into Blue Ridge PRISM. Today more than 30 people sit on its advisory board, making up a broad-based coalition of private landowners, nonprofit organizations, for-profit business owners, university faculty, and local, state and federal agencies, and they have formed nine working groups. The Flora of Virginia is heavy, but now it can fit in your pocket. Learn how to best unlock the functionality of the Flora of Virginia Mobile App in this workshop that will teach you the ins-and-outs and make you feel like a pro in the woods. The app, for Android and iOS devices, contains everything you love from the print Flora of Virginia, with a lot more besides. It features an easy-to-use Graphic Key, in addition to the traditional dichotomous keys. Most species descriptions contain up to five photographs, and many include a botanical illustration. Treatments of species that are rare or threatened include conservation ranks, and invasives are scored as to level of invasiveness. And nearly all species have a county-by-county range map. Leader: John Townsend is staff botanist with the Virginia Department of Conservation and Recreation’s Division of Natural Heritage. His work as part of the division’s inventory team has focused primarily on rare vascular plants and their conservation. He was previously curator of the Herbarium at Clemson University. His Flora work has included editing of taxonomic descriptions, editing of illustrations, ensuring that they accurately and truly depict key characters, and provision of Virginia specific information on status and habitat. This field trip will be an indoor tour of the William & Mary Biology Greenhouse and Herbarium, both located in the Integrated Science Center on Campus. The greenhouse supports botanical research, including current studies focusing on milkweed and pollinators, and monkeyflower (Mimulus spp.) flowering genetics. Greenhouse staff cultivate plants for educational use, and maintain a collection of largely tropical plants from around the world for demonstration and educational purposes. With over 82,000 specimens, the W&M Herbarium houses a large collection of dried vascular plants representing Virginia Coastal Plain native flora. The tour will describe current efforts to photograph the collection for digital public access, and ongoing plant collection and processing projects. Special instructions: This tour will be a very easy walk, indoors, with elevators available as the tour moves from between floors in the Integrated Science Center building. The greenhouse can be quite warm, and the Herbarium quite cool, so wearing light layers may be handy. Leaders: Patty White-Jackson works in the Biology Department at William & Mary as the greenhouse manager. She has many years’ experience cultivating and managing a horticultural services in private and commercial settings. W&M Herbarium Curator Beth Chambers has worked in the biology department at William & Mary for the past 15 years. Previous positions include website support for various projects, working as an environmental scientist for engineering, as well as photovoltaic manufacturing firms. She worked as a biologist surveying aquatic vegetation at Mote Marine Biological Laboratory. Ms. Chambers is a Board member of Virginia Botanical Associates and the Williamsburg Botanical Garden, and a member of the John Clayton Chapter of VNPS. 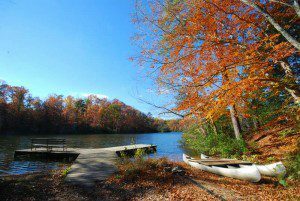 Wahrani Nature Trail is a beautiful park owned by New Kent County. It contains old-growth stands of Coastal Plain Calcareous Ravine Forest and a shell marl outcrop with several species rare to the area, including walking fern (Asplenium rhizophyllum), Scott’s fern (Asplenium x ebenoides), and purple cliff brake (Pellaea atropurpurea). Natural springs and seeps are a common feature at Wahrani and many plants typical of mountain slopes find suitable habitat in the well-preserved, shell-rich, sandy soils. Special instructions: The level of difficulty for this walk is medium. There will be some steep slopes and a fair bit of distance will be covered over the course of the trip. Participants are advised to wear hiking boots and to bring appropriate hiking gear, including bug spray. 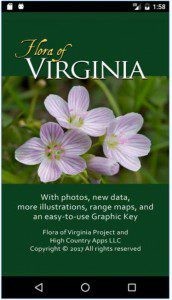 Participants are encouraged but not required to download the new Flora of Virginia app on their phones. Leader: Joey Thompson has degrees in biology from William & Mary and Virginia Commonwealth University. He has worked for Virginia State Parks and the National Park Service, and is currently an environmental scientist at Williamsburg engineering firm VHB. He conducts natural resource surveys for a variety of projects and specializes in surveying for rare, threatened, and endangered plant species. Joey enjoys hiking, swimming, and traveling with his girlfriend and dog. This field trip will explore a one-mile nature trail through the bottomlands of the Chickahominy River in New Kent County. 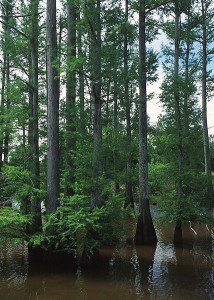 We will examine excellent examples of bald cypress – tupelo swamp, Coastal Plain bottom land hardwoods, a “swamp island” upland hardwood forest, and a fluvial terrace sandhill woodland. Several state-rare plants are present among the diverse flora of these natural communities. Special instructions: Sturdy footware, long pants, and insect repellent are required. 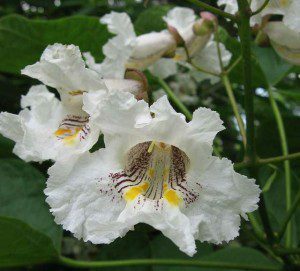 Join Doug DeBerry, professor of Environmental Science at William & Mary, on a botanical exploration of one of the lesser-known jewels in the Williamsburg area – New Quarter Park. This 550-acre public park boasts several miles of trails with scenic overlooks providing outstanding views of Queens Creek – an historic tidal marsh in the York River watershed. We’ll start the walk off in the uplands with exposure to a diversity of canopy and understory species in a mix of forested community types, including beech-oak-hickory assemblages, mixed pine/deciduous stands, and successional habitats. 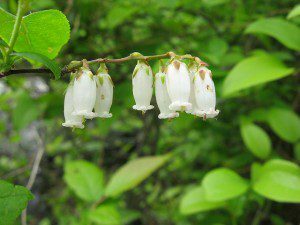 We’ll encounter trail margins and clearings with opportunities for viewing late season flowering species and Dr. DeBerry’s favorite – the graminoids – all en route to the park’s elevated walkways and access points along the Queens Creek marshlands. While there, we’ll discuss species, ecosystem dynamics and unique plant adaptations that allow some of our more charismatic wetland flora to thrive in tidal marsh habitats. Attendees might even decide to linger after the tour and enjoy the park’s many amenities (canoe/kayak access, picnic shelters, mountain bike trails, playgrounds, and an 18-hole championship disc golf course). Plenty of parking and restrooms available at the park. Special instructions: Long pants and field-worthy footwear recommended, but not essential. Bring water. Leader: Doug DeBerry is a research assistant professor of Environmental Science and Policy at William & Mary, where he teaches courses and conducts research in ecology and related disciplines. In addition, he serves as a senior environmental scientist at VHB and is on the Board of Directors for Flora of Virginia Project. He contributed the species descriptions for the genus Carex in the Flora of Virginia, and loves to geek out over sedges and other graminoids. 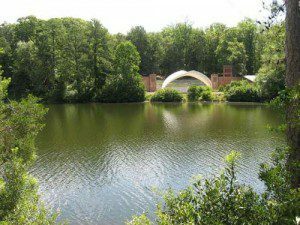 A guided walk through the Williamsburg Botanical Garden. Volunteer plant devotees began in 2005 to transform a two-acre, hurricane-ravaged, ellipse-shaped parcel of land in Freedom Park into a botanical garden. They have developed horticultural displays, a butterfly garden and a meadow, plus other habitats populated solely by local native plant material from the repository of the Williamsburg Native Plant Rescue Team or plant material already present on the site. These habitats include marsh, swamp, stream bank, roadside, older and younger pine woods, a fernery and a calcareous ravine. The garden also hosts and butterfly festival. Special instructions: Parts of the garden are open and sunny and a hat and sunglasses may be advisable. Some of the trails are challenging to negotiate in a wheelchair, but detours can be worked out. Location: Freedom Park, 5537 Centerville Road, Williamsburg. Turn LEFT out of the School of Education and follow Monticello Avenue to the VA Rt. 199 overpass. Go WEST on VA Rt. 199 and take the Longhill Road Exit. Go LEFT (west) on Longhill Road and follow it until it ends at a “T” intersection with Centerville Road at a stoplight. Continue straight across Centerville Road and into Freedom Park. Follow the entry road until it curves around the Botanical Garden (look for tall deer fence surrounding the Garden) and reaches a stop sign. After stopping, turn RIGHT, then turn RIGHT almost immediately again and park in the lot in the vicinity of the Visitor’s Center. Meet in the parking lot in front of the Interpretative Center. Contact phone: 757-719-3414. Leader: Dr. Donna Ware, vice president of the John Clayton Chapter of VNPS, served as curator of the William & Mary Herbarium for 30 years, during which time she also carried out several floristic studies and did multi-year population studies of the threatened small whorled pogonia. She is among the coauthors of the hard-copy editions of Alton Harvill’s Atlas of the Virginia Flora, a founding member of the John Clayton Chapter of VNPS, and has been involved in developing the Williamsburg Botanical Garden from its inception. Fees include Continental Breakfast and Box Lunch Saturday and Sunday, and Buffet Dinner Saturday evening. Questions or need to change or cancel your registration? Please contact Karen York at the VNPS Office at vnps.org@gmail.com or call (540) 837-1600. Registration cancellation and refund requests will be accepted through October 2 , 2018. There is a $10 cancellation processing fee.